Serving tray glass with cheese/butter knives sp. Serving stand Celeste round, 2-tier sp./lacq. 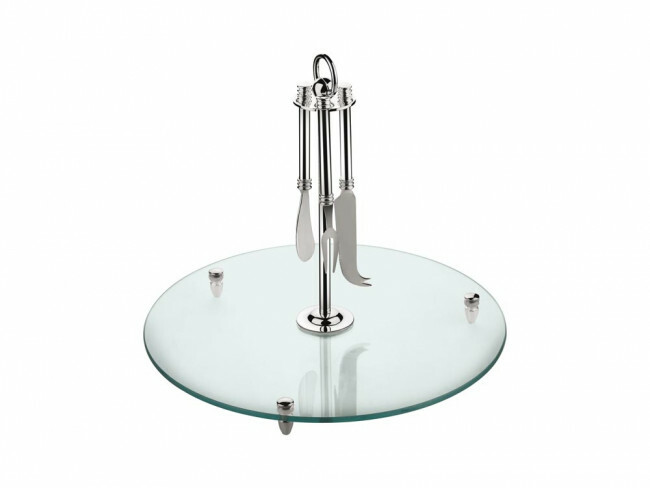 Serving stand with 2 glass dishes (ø33x33 cm). The stand is silver-plated and lacquered, and therefore requires no polishing. You're reviewing: Serving tray glass with cheese/butter knives sp.